Written by Hiu Man Chan. The 2018 BFI London Film Festival featured a spectacular programme of 225 films from 77 different countries. A wonderful showcase in its entirety, but this was also the largest showcase of Chinese cinema in the film festival’s history. 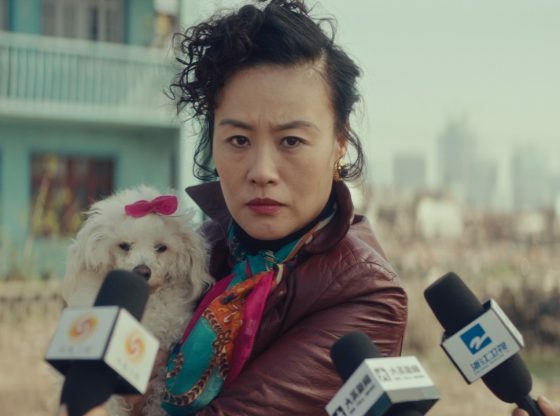 Bettering the renowned Cannes, Venice and Berlin festivals, London introduced a nuanced line-up of films made in China. The London event presented a balanced, thoughtful programme which promoted a more contemporary view of Chinese cinema and modern China. Instead of relying on one or two Chinese directors who are already established on the European film festival circuit, filmmakers at different stages of their careers were chosen. Jia Zhangke’s Ash is Purest White, Cathy Yan’s Dead Pigs and Ying Liang’s A Family Tour were shown. As were Guo Xiaolu’s Five Men and a Caravaggio, Bi Gan’s Long Day’s Journey into Night, Zhang Yimou’s Shadow and Qiu Sheng’s Suburban Birds. Zhang is the ‘old brother’ in the business, and one of the first Chinese directors to be recognised by Western critics. His Golden Bear award win for Red Sorghum at the 1998 Berlin International Film Festival launched him onto the international stage. Although arguably since Hero (2002) his films have not lived up to the expectations of critics as much as before, his invaluable contribution to Chinese cinema’s international reputation lingers. Jia meanwhile has also seen success at European film festivals. Venice and Cannes have been his loyal promoters since 2000, and most of his films have been welcomed in the major competitions. But he is considered part of the next generation of filmmakers, who gained attention from Western critics after Zhang and established a different aesthetic style. Zhang has impressed with adaptations of Chinese village stories that reveal the feudalist repression of old Chinese society. Jia gained his Western fans through his hand-held camera style, with narratives focusing on ordinary people in urban China. Though both have moved on to make much bigger productions after becoming famous. Admittedly, it was a safe bet for the London festival to include the latest films by two of China’s most well-known directors. It follows the usual festival taste in auteurs by recognising the legacy of both directors. However, they have gone against the grain too, by opting to introduce a handful of ‘new’ directors to the international film buffs, such as American-Chinese director Cathy Yan. 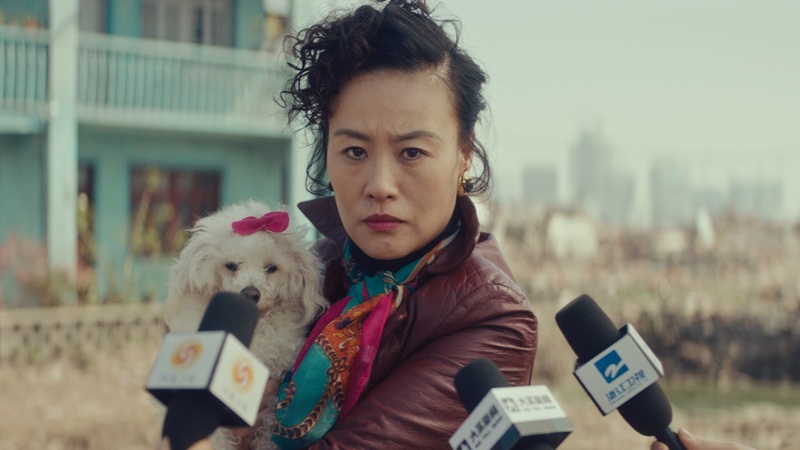 Although Dead Pigs had a positive reception at the 2018 Sundance Film Festival, neither Yan nor her films are well-known in Europe. Likewise, Ying Liang, Bi Gan and Qiu Sheng are considered emerging, independent arthouse filmmakers in China – particularly Bi Gan, thanks to his 2015 film Kaili Blues. But none have secured major screenings outside of Asia to date. The London festival didn’t stop there, however. 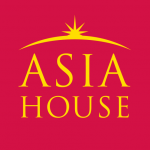 Rather than just opting for unique Chinese arthouse films, like other European film festivals do, it chose to actively promote fresh content. Guo’s UK-Chinese co-produced documentary Five Men and a Caravaggio was a different choice, and a celebration of the British-Chinese author’s contribution to local culture, as well as to the international industry. Looking at the selection of films together, it becomes apparent that the festival strategically included as many representative figures of Chinese cinema as possible. The movies considered perspectives from different generations, the sensitivity of regional politics, and included a diverse range of Chinese identities. Rather than opting for what some might call the typical Orientalist narratives and visual styles that have been a hit in Europe before, the London event presented a balanced, thoughtful programme which promoted a more contemporary view of Chinese cinema and modern China. London’s film festival has taken a major step forward this year. Its proactive approach was perhaps the best way for Chinese films to be introduced to an audience outside the country. This was a showcase opportunity that was not based on over-ambitious platforms funded by the Chinese government, as the China-Britain Film Festival is, nor did it cater only to a selective taste, as has been done by other European film festivals. While other established European festivals such as Cannes have simply looked to use acting stars to promote themselves to Chinese film fans, the London Film Festival has started a strategy for long-term audience development. Such style and diplomacy in programming Chinese cinema is perhaps only possible as a first in London. Hiu Man Chan is a researcher specialising in creative industries collaboration between the UK and China, currently affiliated with Birmingham City University. She is Series Editor of Intellect China Library and columnist for the UK-Chinese Times. She tweets @H_onfilm. This article is republished from The Conversation under a Creative Commons licence. Read the original version of the article here. Image Credit: CC The Conversation.